Camphor tho we keep diyas burning all the time in the temples. Whenever we sit in a temple, we are given aarti. 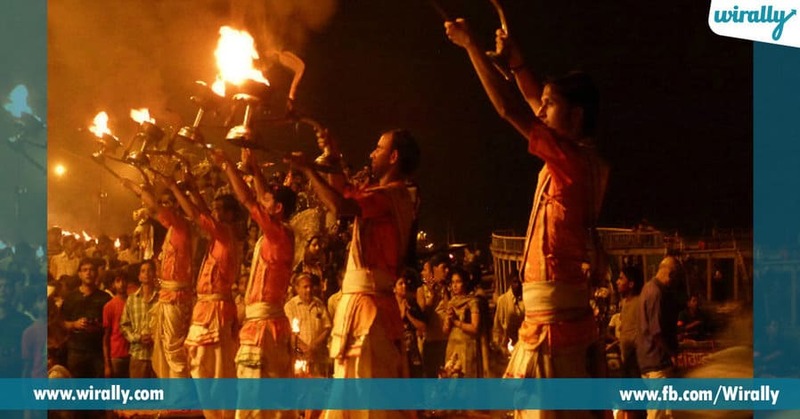 To perform aarti, they use camphor again. Lighting camphor and using it has many reasons that have got unfolded by different sects of people. One reason being, camphor fumes purify the environment. They kill the bacteria viruses & other microbes. It acts as an excellent genocide and helps purify the atmosphere. It is believed to eradicate all the negativity from the environment. The second one being, these camphor fumes get absorbed to the skin acting as a coolant, local anesthetic, and an anti-microbial substance. 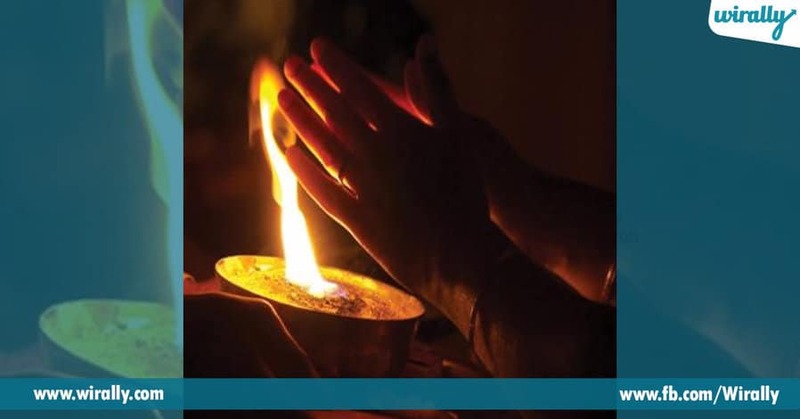 The flame of Camphor is Lord Shiva’s flame of consciousness. It burns without residue. Camphor crystals (karpooram) and match box are used for lightening the cow-dung cakes in Agnihotra. Camphor is made in 6000 year old Ayurveda by distilling the bark and wood of the camphor tree. White camphor is a crystalline substance using the formulation C10H16O which is a fantastic anti-oxidant. As per Ayurveda Karpooram can control geno-toxicity which affect in the genetic level. Its stimulating action affects secretion and excretion. Camphor burns without any residue. 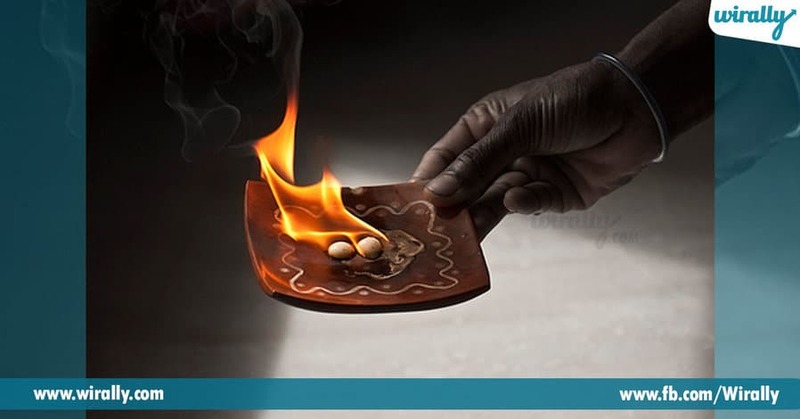 This symbolizes that at the end of any ritual, human ego should burn away just like camphor. This is supposedly why we feel extremely relaxed and happy every time we go to a temple and perform a ritual.